A weeping father spoke in shock as he described his son, who is accused of decapitating his mother on Mother's Day and bringing her head to a grocery store in rural Oregon. ESTACADA, Ore. (AP) — An Oregon father is struggling to try to understand why his adult son allegedly decapitated his mother on Mother’s Day and then showed up at a grocery store with her head, stabbing a clerk there until workers overpowered the man and police arrested him. David Webb said his 36-year-old son, Joshua Lee Webb, had vision problems and received Social Security payments but never showed any signs that he might be capable of the crime. Police described him as “catatonic” after his arrest. “I never foresaw a problem. If I had I would have stopped it,” David Webb told The Associated Press before bursting into sobs during a telephone interview. 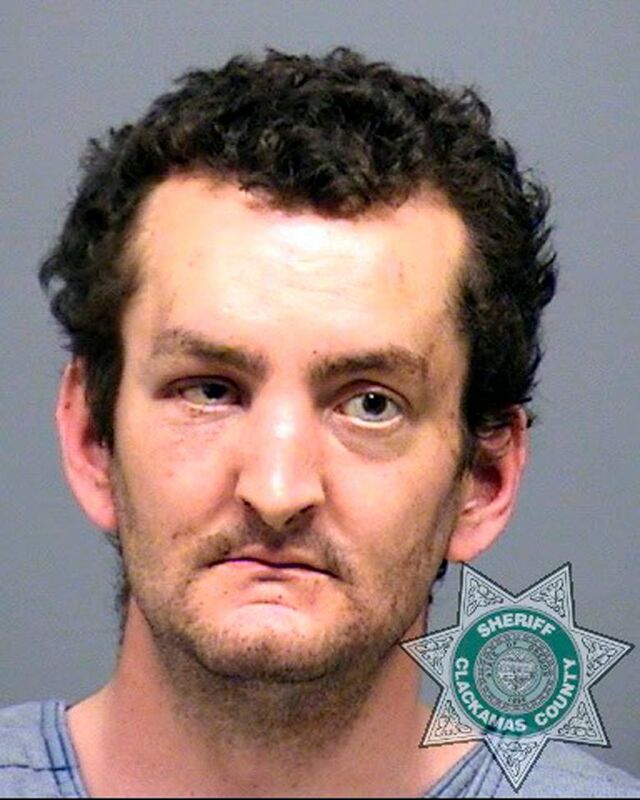 Joshua Lee Webb decapitated 59-year-old Tina Marie Webb Sunday afternoon at the family’s rural home in the once-significant logging town of Colton, about 40 miles (64 kilometers) south of Portland, the Clackamas County Sheriff’s Office said. He then showed up at about 12 miles (19 kilometers) away at a small grocery story covered in blood with a large kitchen knife and carrying her head, authorities said. A judge ordered Webb held without bail during his arraignment Tuesday, The Oregonian/OregonLive reported (http://bit.ly/2qpNuOL). Webb is charged with murder, attempted murder, first-degree abuse of a corpse and first-degree aggravated animal abuse. Judge Jeffrey Jones set a preliminary hearing for Webb on May 23. The mother had told David Webb that she believed their son was depressed, but the father said he never saw any indications of that when he spoke with his son. The parents recently bought him a dog because he wanted one. After arriving at the store, Joshua Lee Webb stabbed the store employee but was quickly subdued by other employees who held him until officers arrived, authorities said. 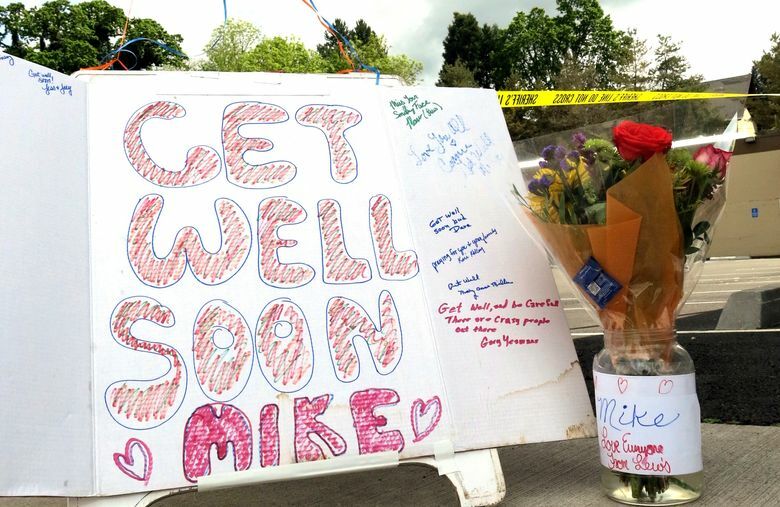 The suspect told police only that he was thirsty, said Ernie Roberts, the interim police chief of nearby Sandy, Oregon, which provides police services for Estacada, population about 2,500. “He was in like a catatonic state, wasn’t speaking to anybody,” Roberts said. The grocery store checkout clerk was hospitalized and expected to survive. 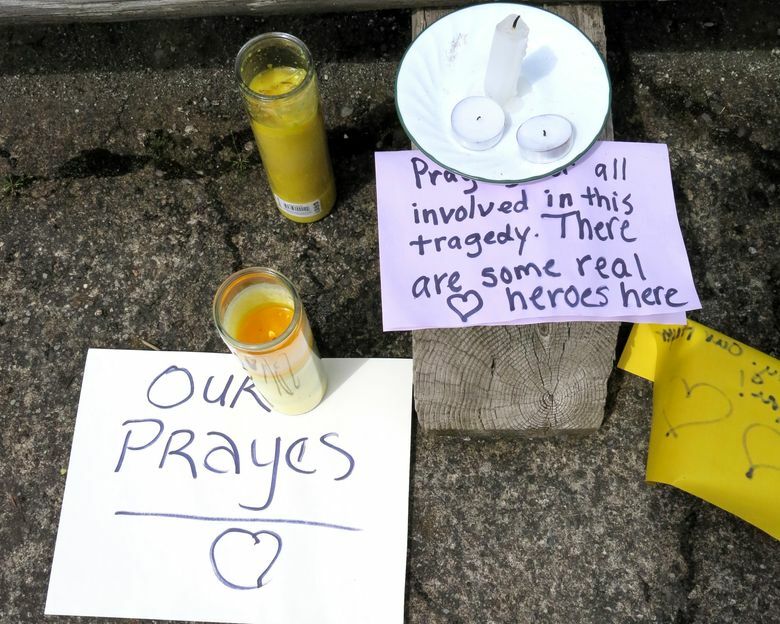 Customers on Monday placed balloons as tribute in front of the store, lit candles near its parking lot and signed a large get-well poster for the worker. “One lady came in this morning and said she actually saw somebody come in with something that was bloody and was carrying something with his arm,” Flora said. Follow Gillian Flaccus at http://www.twitter.com/gflaccus.